No more wasted time playing phone tag. 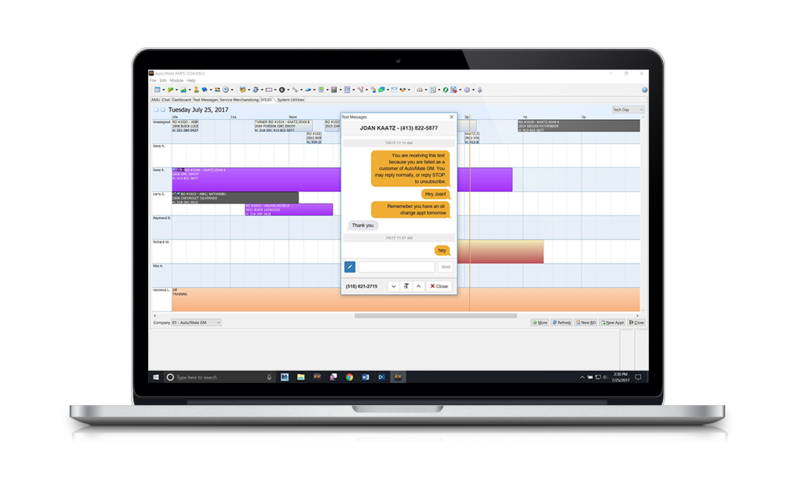 Auto/Mate’s Texting Engine puts you in direct one-to-one communication with your customers. 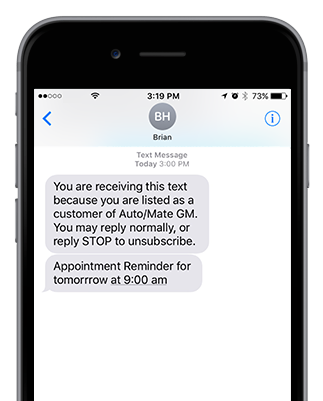 Auto/Mate’s Texting Engine is a straight-forward, built-in tool that allows you to communicate with dealership customers right from the DMS. With texting being the chosen method of communication for most people, we give your employees the ability to effectively, quickly and automatically converse with customers. No more having to play phone tag or get stuck on lengthy phone calls. With 82 percent of consumer texts being read, you can be sure the message you put in front of the recipient is seen. Our new automatic texting feature prevents fixed ops employees from spending time sending individual text messages to customers. Create these automatic texts to go out regularly after certain events like closing an RO or an appointment being scheduled. By scheduling these texts, you can prevent or follow up on forgotten service appointments. Find yourself sending the same manual text message thanking the customer for their recent purchase? Create text message templates to deploy with just the click of a button to send those frequent but necessary texts. Now you can value both the customer’s business and your own time. Easily text your customers and prospects without ever having to leave the DMS. 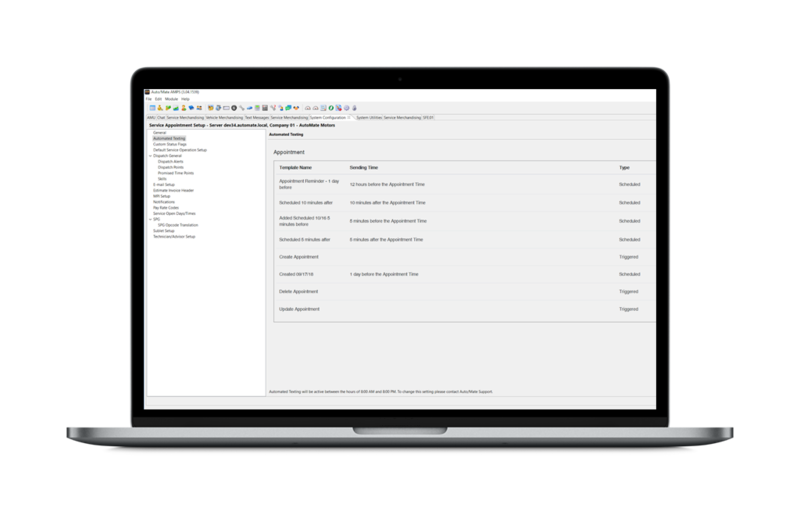 Auto/Mate’s Texting Engine is built right into the core system, which prevents your employees from going to a third party service or, even worse, using their own phone. Our admin view of Texting gives managers visibility into who sent texts and at what time.